Theresa May's announcement came hours before the British Parliament was set to vote on the type of Brexit Britain will opt. 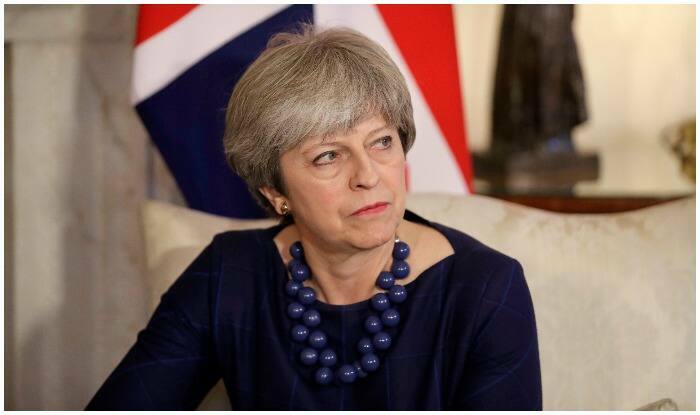 London: Bowing down to pressure, British Prime Minister Theresa May on Wednesday (local time) announced that she will resign as the prime minister before the next phase of Brexit talks, reports Washington Post. This development came hours before the British Parliament is set to vote on the type of Brexit Britain will opt. British MPs on Monday defied Prime Minister Theresa May’s government and voted in the favour of an amendment that gives them the power to control the country’s Parliament. As many as 30 Conservative MPs have voted against Theresa May. Letwin Amendment has allowed the lawmakers to make a series of indicative votes on various alternative options including Norway-style deal with the EU and no Brexit. Last week, at least one million people protested against May’s handling of the Brexit process, demanding for a second referendum to be held. In 2016, over 50 per cent of the UK electorate voted to leave the EU, following which the British government triggered Article 50 of the Lisbon Treaty, beginning the country’s process of its exit from the European bloc. The then-Prime Minister David Cameron, who supported continued membership to the EU, resigned, making way for May to take charge. The bloc agreed to extend Article 50 till May 22, provided the British Parliament supports the Withdrawal Deal next week when May holds a meaningful vote. If the Parliament rejects the deal again, the UK will be given an extension only till April 12, according to Donald Tusk, the President of the European Council.